Haya Kay completed a work placement with the Work Placement and Employability Programme in the School of Cultures, Languages and Area Studies. Once she registered her interest she subsequently applied and was accepted onto a placement with professional consultancy firm Prism, based in Nottingham’s Creative Quarter. Haya worked on developing and creating promotional and performance videos for Prism, skills relating to her degree in International Media and Communications. Through her placement with Prism, Haya’s language skills in Arabic were picked up on by Creative Director Sarah Phillips, who invited Haya to undertake a further placement with her company Vein Train, one of Languages for Business’s placement partners who specialise in healthcare training. The company were looking to expand into Qatar and engaged Haya on a work placement to help explain the business culture and how the health care sector works in the country. As well as support around cultural awareness, Haya worked on translating business documents and web copy into Arabic. The placement partner was so impressed with Haya’s work, they invited her to accompany them on a trip to Qatar to represent the company at a major healthcare industry event, the World Innovation Summit for Health (WISH). “As a part of my placement at the University of Nottingham I worked with a SME called Prism in Nottingham’s Creative Quarter. I shot and edited educational videos for VeinTrain with the purpose of teaching nurses venepuncture and cannulation skills. 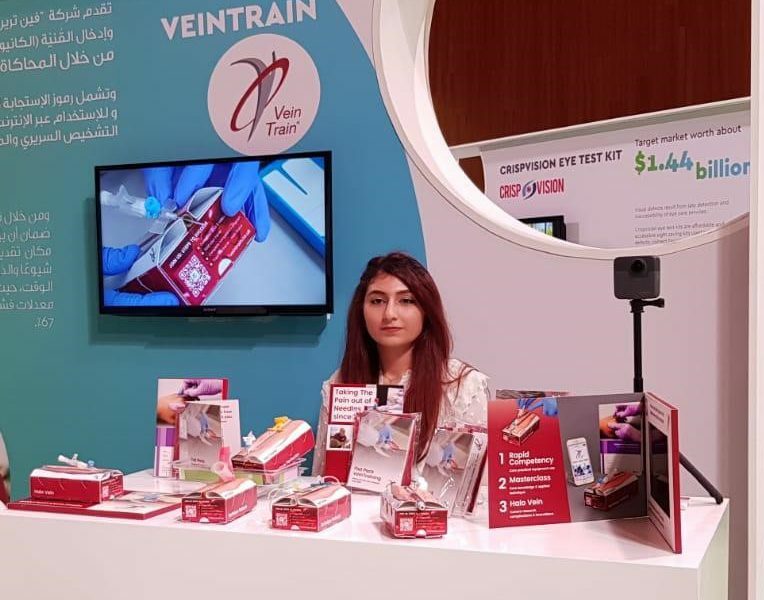 Months later VeinTrain was invited to attend the World Innovation Health Summit: WISH 2018 in Qatar, to display their products and showcase their educational videos. The lovely Sarah and Phil asked me to join them and showcase my work there myself. With the help of my university with the funding and my brother who lives in Qatar with the accommodation, an amazing opportunity became reality. The media course I’m studying at the University is heavily theoretical, therefore, I’ve been seeking out opportunities to gain practical work in the industry.